If there is one thing I love the most about the blogging community, it is how ready we all are to support each other on this quite frankly crazy journey we’re all embarking on. There is nothing I love more than reading posts from my favourite guys and gals, linking their favourite guys and gals and therefore stumbling upon blogs I would otherwise perhaps never come across. It’s been a while since I’ve done one of these posts myself, so I thought it was high time I shared the love and let you guys see which blogs I am obsessing over at the moment. So Fii is undeniably one of my favourite people in the world. I can’t even remember how and when we began talking now, but she has been one of my main blogging cheerleaders since day 1 and I’d be completely lost without her support. Her blog is a fantastic mix of fashion, beauty, lifestyle and think pieces and is so well written that it gives me serious word envy (is that even a thing?!) every time I visit. Not only is her writing sensational but her photos are bloody gorgeous and I just love every damn thing ok? Ok.
Another one who’s been there since the beginning, I have watched Aftab blossom from humble beginnings to the formidable force that he is now. It’s been an honour to watch not just his blog grow and mature, but to watch him flourish with it – from the early days of outfit posts and London lifestyle to his incredible food and travel posts, it’s the absolute perfect read! I had the most monumental super proud friend moment seeing him jetting off on his first press trips last year, and I can’t wait to see where 2017 takes him. Megan is another blogger who I’ve followed since I discovered the blogosphere in 2014. I think my first memories of her blog were the posts about London and her work with ASOS and I remember thinking how incredible it would be to live in London too (although admittedly I don’t have the super awesome fashion job to go with it!). Since she moved back to Manchester, Megan just seems to have blossomed. I’m finding myself more and more inspired by her fashion choices, and I regularly turn to her Youtube channel to really learn about fashion too – with her degree, Megan’s knowledge of style and how it has evolved is brilliant and I find it fascinating to learn more about the trends I love to wear. Megan got signed to Gleam Futures at the end of last year and I can’t congratulate her enough – it’s massively deserved! Anton is another blogger who took me under his wing over 2016. We first met at Fashion Week where we did an outfit shoot together and the results were phenomenal. Since then, we’ve met up regularly to shoot and catch up – I find him such an inspiring and creative person to be around, and a day wandering around the Tate gallery together, or finding awesome street art to shoot against leaves me feeling motivated and fired up to achieve my goals. Anton recently left London to embark upon new adventures and while I’m sad to see him go I’m super excited to see what he gets up to – plus it totally gives me another excuse to travel more this year. Anton’s blog is filled with gorgeous menswear posts, stunning architecture and landscapes, and the hottest wearable tech trends – I’d well recommend a visit! So I would be totally biased if I didn’t include my gorgeous boyfriend in this, but in all honesty Joseph’s blog is one of my favourites to read. It’s nice sometimes to take a step back from the fashion and lifestyle posts I usually read and instead spend my time learning about a different industry. I didn’t know much about the acting world until I met Joseph last spring, and it’s something I find fascinating if not a little brutal. I love reading more about the creative processes Joseph uses to embrace his roles, about the auditions and the self-tapes he does, and about the trials and tribulations that come along with job. He’s embarking on an exciting new blog series this year and I’m eagerly awaiting the first instalment – you should check out his blog too! I am so, SO glad I made friends with Jess at the end of 2016. Not only is she an incredible blogger with a wardrobe of clothes that I could literally drool over, we also get along like a house on fire! It’s scary how similar we are, with pretty much all the same interests and a wonderful group of mutual friends I can’t wait for our friendship to develop more this year with LFW, London Edge and exploring this magical city to look forward to. Jess’ blog is an incredible alternative style diary, featuring her amazing outfits as well as lifestyle posts too. I’m not joking when I say I could drool over her wardrobe – I literally want everything in it. Everything. 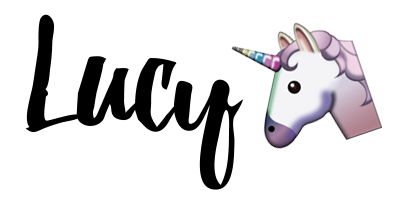 Sarah’s blog is a creative little hub of awesomeness and I love it so so much. So much in fact that I find myself visiting it and re-reading old posts even when she hasn’t posted anything new because I love it that much! Sarah posts a massive variety of different things – there’s literally something for everyone from food to personal posts, lifestyle to a bit of fashion and beauty, and of course her stunning illustrations. I think my favourite post of 2016 was her sketchbook tour, but I also found her eyebrow tutorial life changing (I’m seriously not kidding) and her Morphe 350 review definitely nearly bankrupted me! 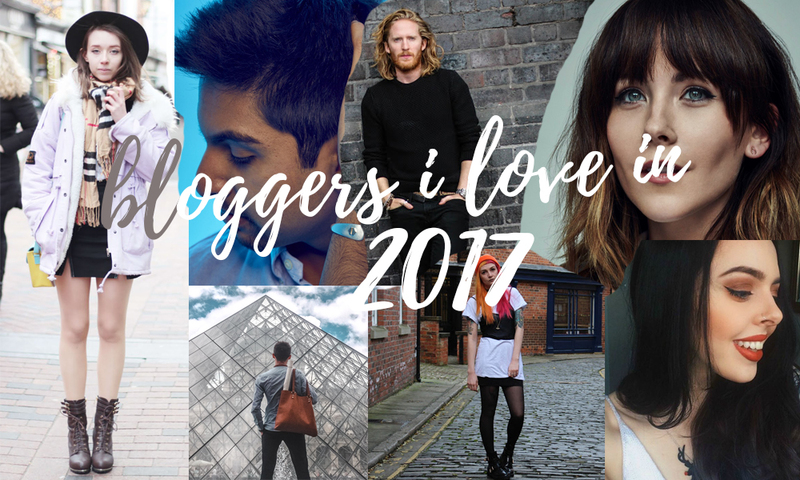 Who are the bloggers you’ll be reading into 2017? Link them in the comments below, I’d love to turn this into an awesome thread of blogger love and a place to discover new and amazing bloggers!